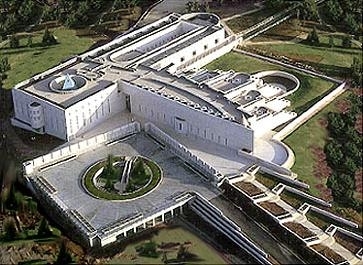 Ending the Palestinian "Right of Return"
The Israeli Supreme Court building in Jerusalem. Israel has two major reasons to fear this uncontrolled immigration. First, it presents a security danger. Yuval Diskin, head of the Shin Bet security service, noted in 2005 that of 225 Israeli Arabs involved in terror against Israel, 25 of them, or 11 percent, had legally entered Israel through the family unification provision. They went on to kill 19 Israelis and wound 83; most notoriously, Shadi Tubasi suicide-bombed Haifa's Matza Restaurant in 2002 on behalf of Hamas, killing 15. Second, it serves as a stealth form of Palestinian "right of return," thereby undermining the Jewish nature of Israel. Those 137,000 new citizens constitute about 2 percent of Israel's population, not a small number. Yuval Steinitz, now the finance minister, in 2003 discerned in PA encouragement for family reunification "a deliberate strategy" to increase the number of Palestinians in Israel and undermine its Jewish character. Ahmed Qurei, a top Palestinian negotiator, later confirmed this fear: "If Israel continues to reject our propositions regarding the borders [of a Palestinian state], we might demand Israeli citizenship." In response to these two dangers, Israel's parliament in July 2003 passed the "Citizenship and Entry into Israel Law." The law bans Palestinian family members from automatically gaining Israeli residency or citizenship, with temporary and limited exemptions requiring the interior minister to certify that they "identify with Israel" or are otherwise helpful. In the face of severe criticism, then-Prime Minister Ariel Sharon affirmed in 2005 that "The State of Israel has every right to maintain and protect its Jewish character, even if that means that this would impact on its citizenship policy." Only 33 of 3,000 applications for exemptions, according to Sawsan Zaher, an attorney who challenged the law, have been approved. Israel is hardly alone in adopting stringent requirements for family reunification: Denmark, for example, has had such rules in place for a decade, excluding (among others) an Israeli husband from the country, with the Netherlands and Austria following suit. Last week, Israel's Supreme Court, by a 6-5 vote, upheld this landmark law, making it permanent. While recognizing the rights of a person to marry, the court denied that this implies a right of residency. As the president-designate of the court, Asher Dan Grunis, wrote in the majority opinion, "Human rights are not a prescription for national suicide." This pattern of Palestinian emigration toward Jews goes back almost to 1882, when European Jews began their aliyah (Hebrew for "ascent," meaning immigration to the land of Israel). 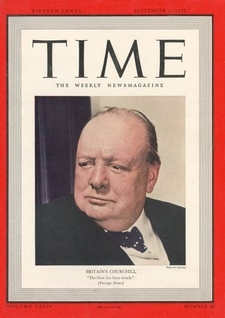 In 1939, for example, Winston Churchill noted how Jewish immigration to Palestine had stimulated a like Arab immigration: "So far from being persecuted, the Arabs have crowded into the country and multiplied till their population has increased." In brief, you didn't have to be Jewish to benefit from the Zionists' high standard of living and law-abiding society. One student of this subject, Joan Peters, estimates that a dual Jewish and Arab immigration "of at least equal proportions" took place between 1893 and 1948. Nothing surprising here: other modern Europeans who settled in underpopulated areas (think Australia or Africa) also created societies that attracted indigenous peoples. 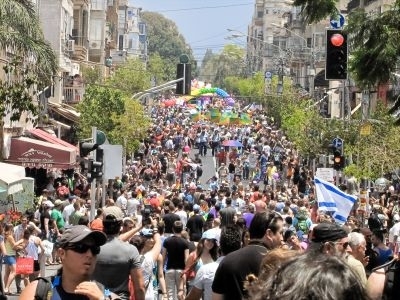 Gay parade, Tel Aviv, 2010: how many Palestinians among them? This pattern of Palestinian aliyah has continued since Israel's birth. Anti-Zionist they may be, but economic migrants, political dissidents, homosexuals, informants, and just ordinary folk vote with their feet, preferring the Middle East's outstandingly modern and liberal state to the PA's or Hamas' hell holes. And note how few Israeli Arabs move to the West Bank or Gaza to live with a spouse, though no legal obstacles prevent them from doing so. The Supreme Court's decision has momentous long-term implications. As Eli Hazan writes in Israel Hayom, "The court ruled de jure but also de facto that the state of Israel is a Jewish state, and thus settled a years-long debate." The closing of the back-door "right of return" secures Israel's Zionist identity and future. Jan. 18, 2012 update: An poll conducted by the Mina Tzemach Institute finds that an astonishing 83 percent of Israelis are against the Supreme Court's decision discussed above. Something fishy here. Nov. 25, 2012 update: Another terror attack by a naturalized Palestinian prompts reflections on the 2003 law by Nadav Shragai, "Family reunification? Not in Israel."